Making “the marketing and sales process human” is good business. Founded in 2006 and gone public in 2014, Massachusetts-based marketing tech company HubSpot reported USD 271m in full year revenues for 2016, up by 49% from 2015. Hubspot is not yet profitable but investors don’t seem to mind. The company is worth USD 2.7bn. Today, HubSpot provides inbound marketing consultation and CRM and sales SaaS products to various international markets, which naturally requires localization. Englund has been with HubSpot for seven years, starting as a consultant and then an account manager. 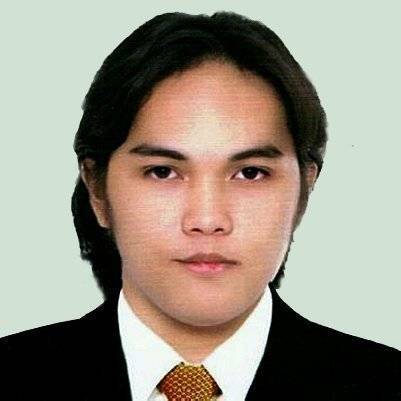 He finished his MBA in the Netherlands, lived and worked in Argentina and South Korea, and was fluent in several languages. With this background, Englund found he had unintentionally groomed himself for his current role. 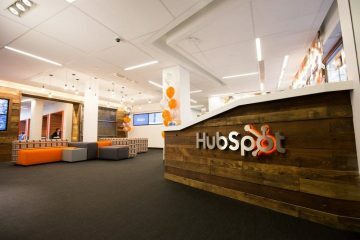 “When I heard that the localization team at HubSpot was starting up two years ago, I was really excited so I started to get in touch with the founding member, our VP of International Operations and Strategy, Nataly Kelly,” he said. From that original duo of him and VP Kelly, Englund now manages a team of eight people; ten including a localization product manager and engineer from the Product Team. Their challenge and mission: end-to-end localization of the entirety of HubSpot’s operations where needed. Englund could not publicly share HubSpot’s translation volume or spend, though he assures Slator that it was “a lot.” He also could not disclose their LSP partners, though he did say they have integrations and relationships with many providers, some of which are also their clients. He shared that his team handles four core languages: French, German, Spanish, and Japanese; the HubSpot website was also in a fifth language (Portuguese) with limited support. Englund’s team localizes everything from website content, blog posts, marketing offers all the way on through to customer support — including voice — and even legal documents. Englund went on to explain how inbound marketing is ideal for a professional service or product that does not have a set of concrete dimensions, such that customers would benefit from being educated on what it is, how it helps, how it would be different, and what it would be like to do business with the seller. Inbound marketing is all about pulling potential buyers in through continuous touch points, and the quality of localization required for this level of attention to detail differentiates HubSpot’s approach to localization in a few key areas. One such difference is that machine translation is out of the question. “We don’t [use MT],” Englund said. “That’s such a taboo topic too… I can definitely see the role for it, I just haven’t seen the quality we really love.” He explained how HubSpot has worked hard to ensure its content has a distinct voice readers can instantly attribute to the company. Despite advances in neural machine translation, the tech simply is not intelligent enough to know not to carry over figures of speech and change the tone or voice of content. “Even the HubSpot tone needs to be adapted when it comes to localization,” Englund concluded. Of course, while HubSpot does not dabble in MT, they do use tools to make the translation process smoother and more efficient. HubSpot uses Transifex TMS for product translation because it is built with agile product development in mind, said Englund. Meanwhile, they use Cloudwords for HubSpot Hosted Content. Englund said Cloudwords seamlessly integrates HubSpot with other CMS’s, allowing them to extend the localization pipeline directly to individual marketers. Lastly, he had glowing praise for their recently implemented translation productivity tool that they use in common with their MLVs: memoQ. What’s a Good Blog Post in Germany? Where HubSpot cannot see itself investing into MT, it does involve human translators deeply within its localization processes. Englund said they have a team of internal localization specialists that do more than just edit and QA translations received from LSPs. “They work very closely in conjunction with the LSPs, with the actual translators, the actual subcontractors of the vendors, to grow and improve quality and they do this in some very interesting ways,” Englund said. For example, Englund shared they will be hosting an upcoming summit in their Dublin office where they invite the translators who work on their account directly. HubSpot helps them better understand how some of their translations are used in practice. So MT is out, deep involvement with actual translators is in, but how does Englund’s team justify this sort of investment?